SPACE STATION NATHAN: Rapunzel and Jack on Turkey Day! Rapunzel and Jack on Turkey Day! Hey everybody. I haven't drawn these guys in a long time. So here are Rapunzel, Jack and Goldy! Happy Thanksgiving! Enjoy a one day break from the horrors of the Taco story. [Edit] Make that a TWO day break--see you Monday! Something to be thankful for. Thanks! love this so much! 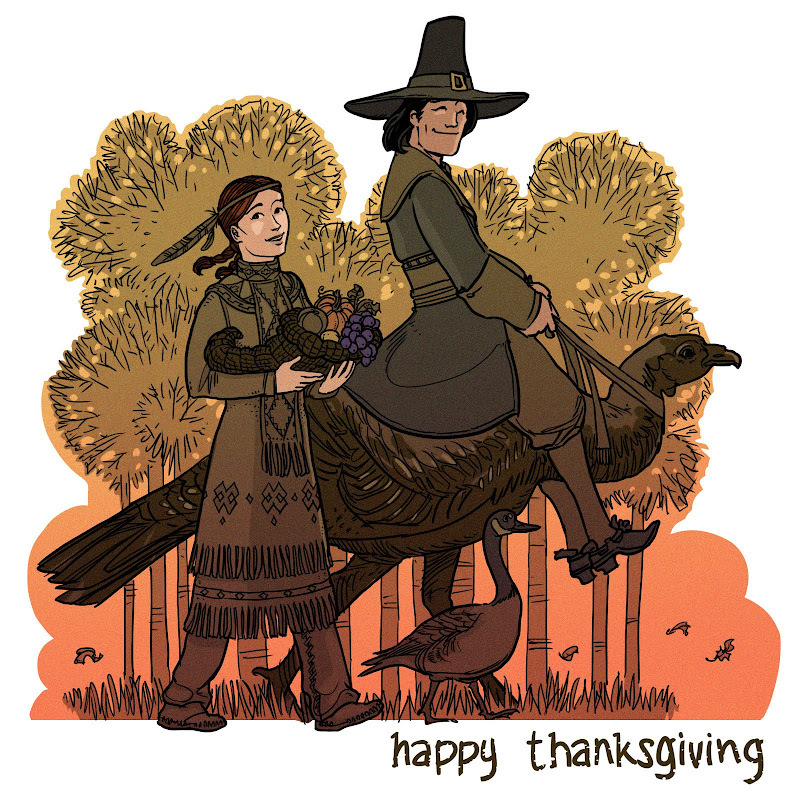 thank you & Happy Thanksgiving! Yeay! Rapunzel's Revenge is my all time favorite book! Happy Thanksgiving! Ha! A very nice role reversal. Yay for Punzie and Jack! It's great to see them again. Thanks, Nathan! P.S. Is the giant pet turkey, by any chance, named Roger? Ha! I'm so happy Shannon noticed that; I wouldn't have. Hey Nathan - Are there any more of those giant turkeys? Cause I call a drumstick! Awww! I love Rapunzel and Jack! Tell me why, I don't like Mondays.